Flowers are always a great way to tell someone how much you love them, but this time of year it’s almost impossible to find locally grown, fresh flowers. Nearly all bouquets that you can buy during the winter have travelled a long way to reach the U.S. There is good news for this sustainable floral challenge. 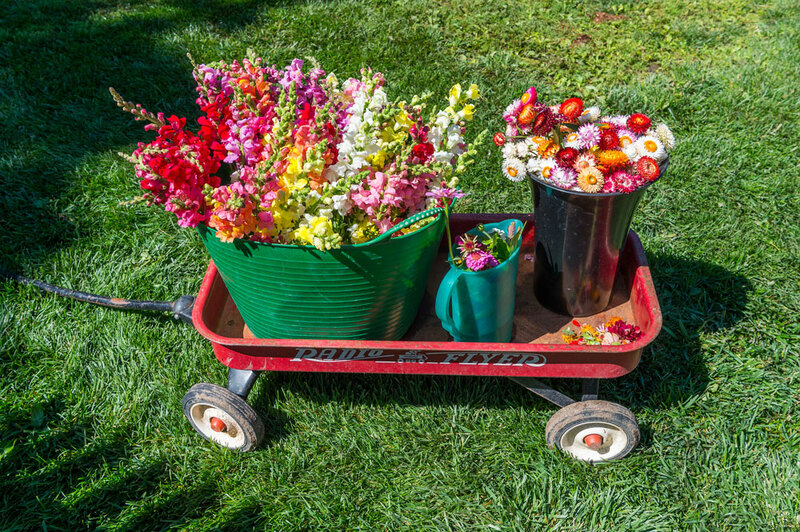 A growing movement called Slow Flowers promotes and supports American-grown flowers. The purchase of locally-grown flowers support the local economy, create a smaller carbon footprint and the flowers are truly fresh and smell better (often cut to order). 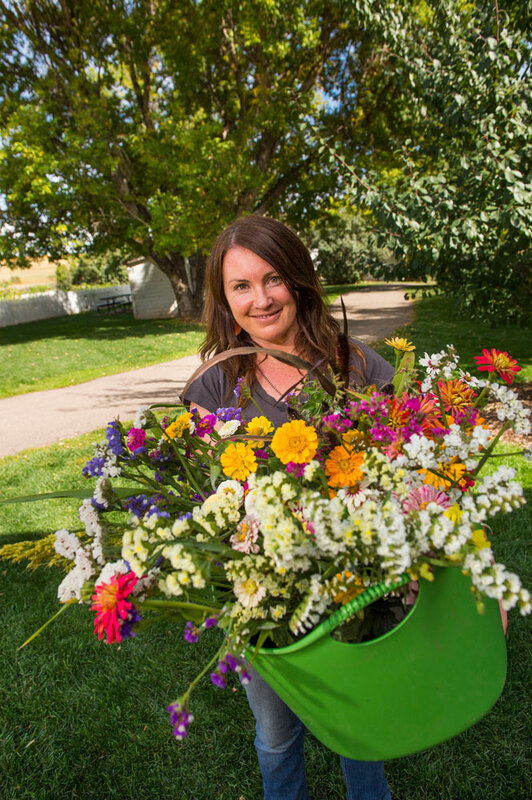 Many local farms and local floral designers offer seasonal bouquet subscriptions. You can often choose if you want weekly, biweekly or monthly bouquets and they sometimes deliver. This is truly the gift that keeps on giving throughout the growing season. 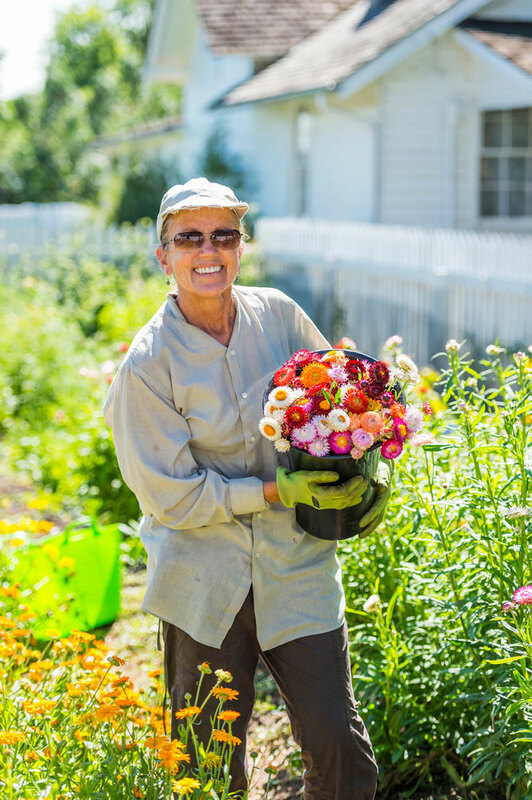 Denver Botanic Gardens Community Supporting Agriculture (CSA) offers a summer flower share that can be purchased with a vegetable share. To get you excited about the fast-approaching local flower season, here are some romantic flowers that you may see in your bouquets this year! Love in a Mist (Nigella damascene) – The romance of this flower is in its name. Love in a Mist gets this steamy name from the cloud of bracts that dance around the star shaped flower. If the flower is left to go to seed it will produce very dramatic black seed pods. Both the flowers and the seed pods are used in arrangements. Sweet Peas (Lathyrus odoratus) – This delicate vining plant blooms in the early spring and is a great addition to any bouquet. The flowers come in an array of soft pinks, whites and purples and are graced with the softest sweetest sent. Love in a Puff (Cardiospermum halicacabum) – This is a vining plant that produces small white flowers and very delicate paper lantern seed pods. The best part about this plant is that when you break open the seed pod you see little black seeds imprinted with perfect white hearts. This is where the name Cardiospermum comes from meaning, Heart Seed.